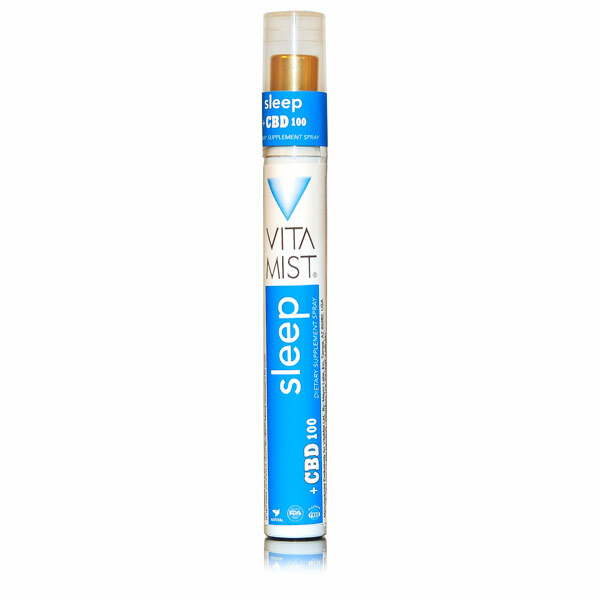 For a good night’s rest + CBD! VitaMist’s Sleep Spray comes complete with Melatonin, Hydroxytryptophan, Arginine, and Ornithine, as well as 10 soothing herbs, such as St. John’s Wort, valerian root and peppermint leaf. When your sleep patterns are disrupted, VitaMist’s Sleep Spray gets you back on track with an all natural supplement. No harsh drugs that leave you groggy in the morning. Just proven herbs and amino acids, for the best sleep of your life! Should I Use Melatonin or Sleep? Melatonin and Sleep were formulated for different purposes. Because your bodies release melatonin in conjunction with the setting sun to help regulate your sleep schedule, there are many situations when you’re getting melatonin at the wrong time. When you move to a new time zone, switch to the night shift, during those long winter nights, or if your body just naturally leans towards ‘nocturnal’, you’re not getting your melatonin when you need it. Melatonin spray helps you fit your sleep schedule into your life schedule. Sleep, on the other hand, is your friend in short term situations. Stress, jet lag, caffeine, smoking and midnight movie releases can all cause bumps in our normally smooth sleep schedules. Sleep Spray helps to level those bumps out. Best if used within 90 days of first use. Caution: For adult use only. Not for use by children or pregnant or lactating women. If you are under medical supervision, consult your health care professional prior to use of this product. Individuals with autoimmune conditions or mental disorders should consult a physician prior to use. DO NOT DRIVE OR OPERATE HEAVY MACHINERY following consumption of Melatonin. Warning DO NOT DRIVE OR OPERATE HEAVY MACHINERY following consumption of Melatonin.